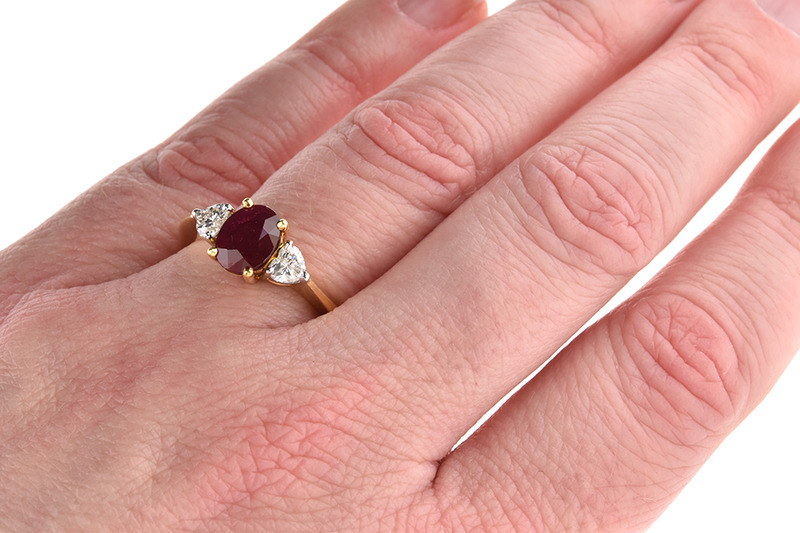 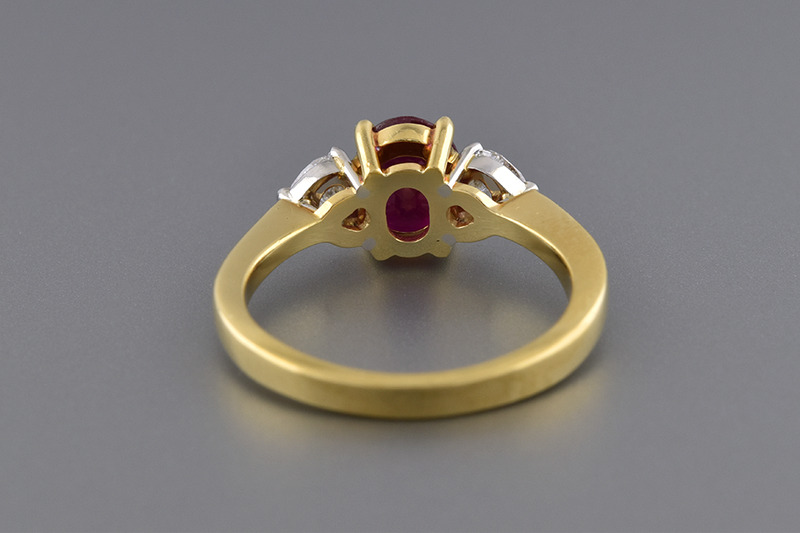 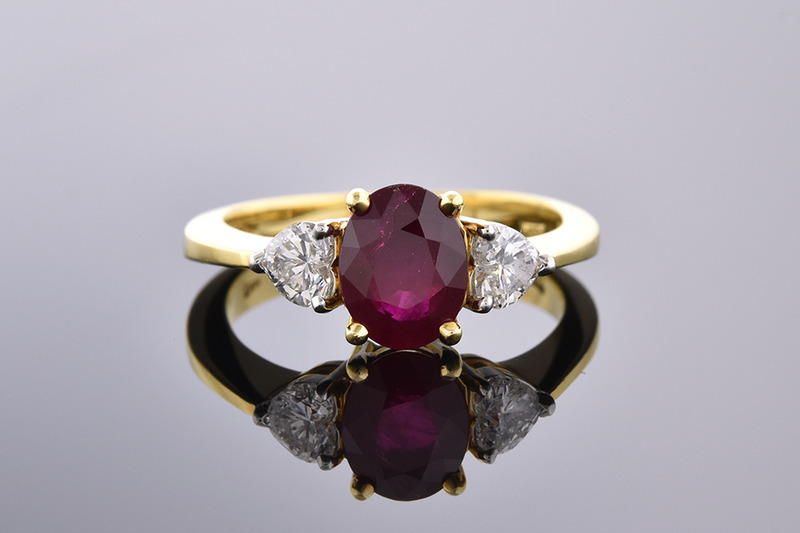 This ruby ring has a lovely and wearable design. 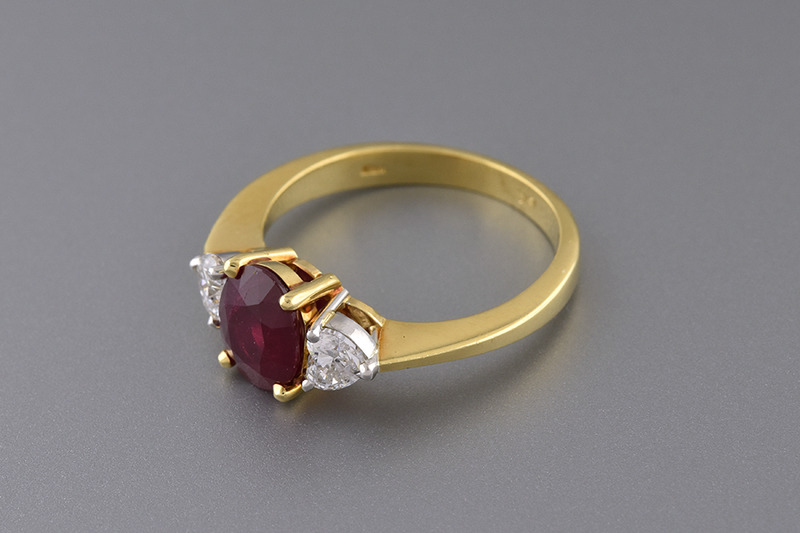 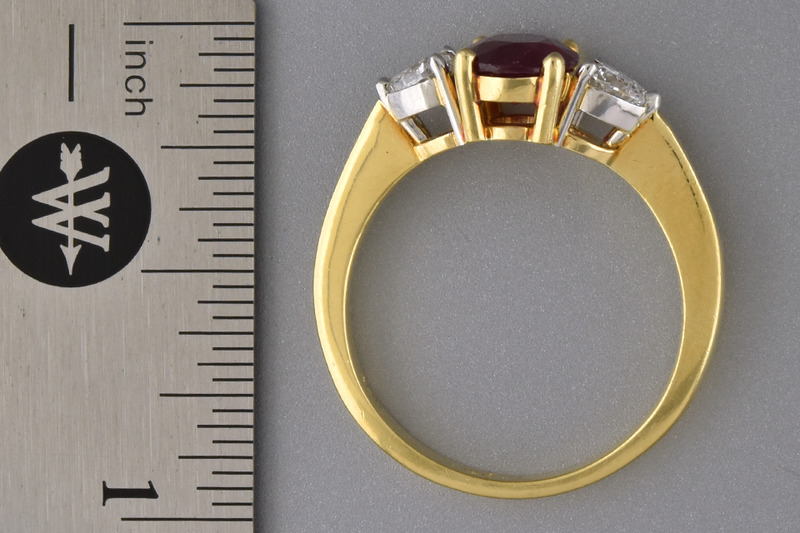 The center stone is a 1.18 carat oval shaped ruby. 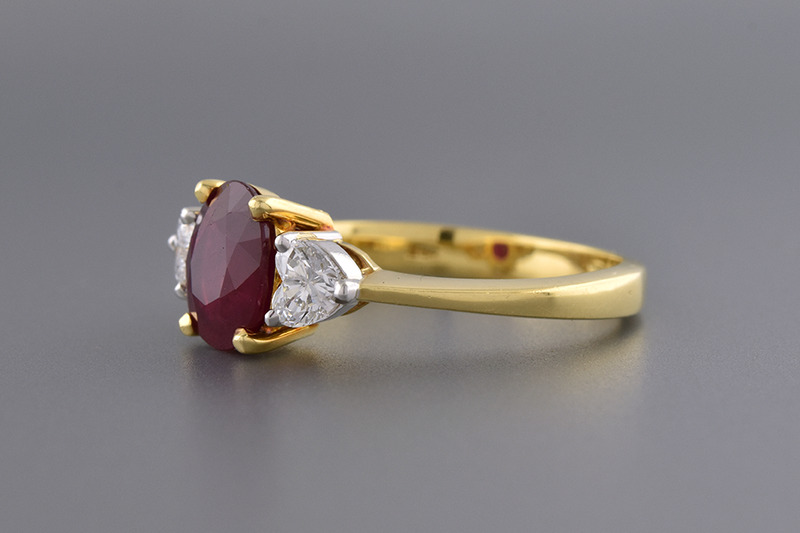 It is accompanied by two charming heart shaped diamonds.